Belmont’s School of Physical Therapy celebrated its 15-year anniversary of DPT graduates this month with a first-ever reunion for the three-year doctoral program. 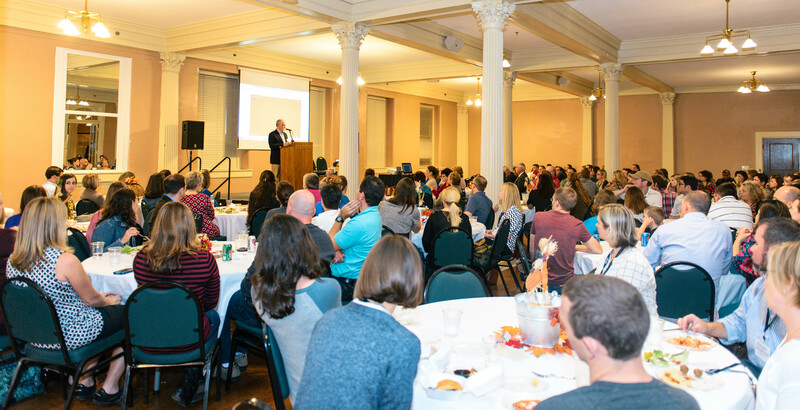 In addition to networking with one another and PT faculty and staff, the event allowed alumni to earn Continuing Education course credit and to provide support for a few special members. That sentiment was driven home with Saturday morning’s event, a one-mile walk held in honor of Garrett Sapp, son of 2005 PT graduate Amber Sapp. Garrett was diagnosed five years ago with Duchenne muscular dystrophy, a rare and fatal neuromuscular disorder. 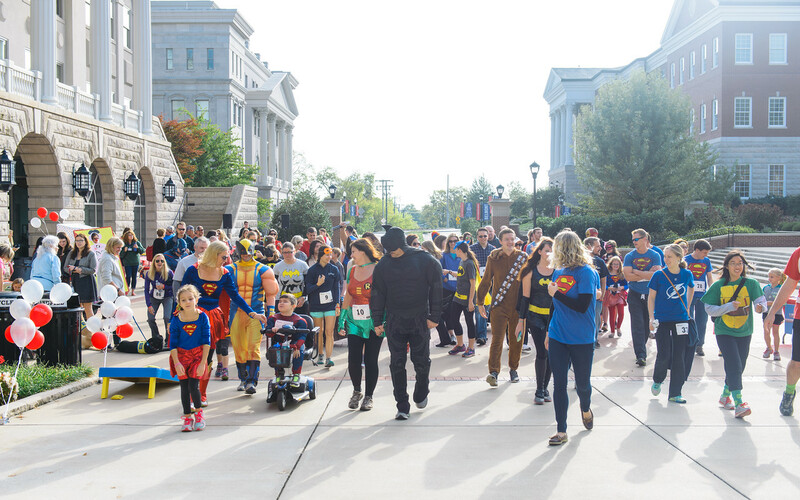 Garrett’s Hero Run was designed as a way to raise awareness and funds for Parent Project Muscular Dystrophy (PPMD), and with participants wearing costumes of their favorite superheroes, Garrett is given a sense of normalcy and fun. The hero run at the reunion brought in approximately $15,000. 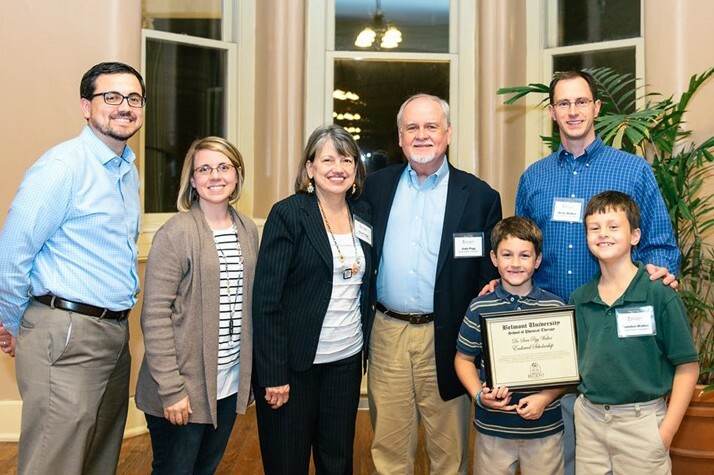 Following Garrett’s Hero Run, alumni enjoyed tours of McWhorter Hall, a charity fair and networking groups, including a time to discuss the advanced certifications individuals had received after graduating from Belmont. While specializations in orthopedics were clearly popular among the Belmont grads, others received advanced training in dry needling, myofascial trigger points, aquatics, cardiac life support, kinesio taping, athletic training and infant massage, among countless other specialties. Moreover, alumni came from all over the U.S., representing practices from Florida to Alaska. The physical therapy grads are employed in a variety of settings from hospitals, home health organizations and rehabilitation centers to universities and professional sports teams. Dr. David Greathouse, who founded Belmont’s program, returned to campus for the reunion and co-taught a continuing education anatomy course with Professor of Physical Therapy Dr. John Halle. Greathouse and Halle also spoke at the reunion’s dinner reception Saturday night, which was led by current program chair Dr. Renee Brown. A highlight of the evening came from a talk given by Jody Pigg, the father of 2003 alumna Sara Walker, who died in 2012 from colon cancer. After sharing a bit of Sara’s story and her fight “to find the extraordinary in an ordinary life,” Pigg and the rest of Sara’s family, including her sister Dinah Hall who is a 2006 Belmont PT alum, were presented with the establishment of a new scholarship named in honor of the Sara Walker Foundation.